Zimbabwe will host West Indies at the end of October. Zimbabwe will play two Tests against West Indies & the first Test match will start on 21 October. The second Test match b/w Zimbabwe & West Indies will commence on 29 October. Zimbabwe, who had recently defeated Sri Lanka in five match ODI series, will face West Indies & they will once again meet in World Cup qualifiers matches that will start in March. West Indies were beaten by England in the Test Series. West Indies, however, showed resistance & won the second Test match against England but they lost the third Test match & the Series too. Skipper Taylor & Jarvis have made comeback in the Zimbabwe squad. The Test matches b/w Zimbabwe & West Indies will be live telecast on TV channels & live streaming can be watched online on website. Zimbabwe vs West Indies Test Series will be broadcasted live on Sony Pictures Network on both SD & HD channels. Live Telecast in Zimbabwe: Watch West Indies tour of Zimbabwe live broadcast of Test Series 2017 on Super Sports, Ten Sports and ZBC. Live Transmission in West Indies: Flow Sports will air live telecast of Zim v WI Test Series. Live Telecast in Sri Lanka: Cricket lovers in Sri Lanka can watch live transmission of Zimbabwe v West Indies Test Series 2017 on Ten Sports. Live Broadcast in North America: Cricket viewers in America, Canada, Mexico and other North America countries can watch Zimbabwe v West Indies Test Series live on Willow TV. Ten Sports: Ten Sports holds the broadcasting rights of West Indies tour of Zimbabwe Test Series. Cricket fans in Pakistan, Nepal and other Asian countries can watch live broadcast of Zimbabwe v West Indies Test Series on Ten Sports. * Cricket fans who would like to watch Zimbabwe v West Indies Test series online for fun or those who do not have access to Television can still watch live matches on their computer or laptop. Watch West Indies tour of Zimbabwe Test Series 2017 live streaming on Willow TV. Zimbabwe v West Indies Test Series will be live streamed on SonyLIV. 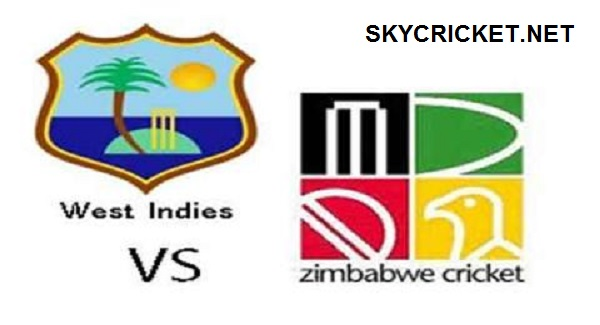 Visit our website for Zimbabwe v West Indies Test Series updates & results. Zimbabwe v West Indies first Test match will be played on 21 October 2017. The 1st Test will begin at 07:30 GMT. Zimbabwe v West Indies second Test match will be played on 29 October 2017. The 2nd Test will begin at 07:30 GMT.